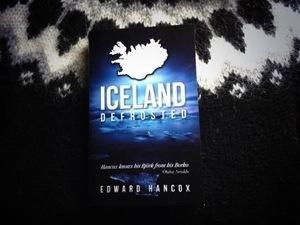 I’m thrilled to announce that I have just signed a contract for Iceland, Defrosted to be published in Iceland by Óðinsauga útgáfa (Odinseye Publishing), in Icelandic. There are a few issues to iron out around updating, translation and other administrative bits and bobs, but I’m really excited about this development, and can’t wait to see the finished article. A huge thanks to Huginn Thor, the driving force behind Óðinsauga útgáfa for even considering such a crazy venture. We aim to be hitting the shelves in time for this years jólabókaflóð. « New Hafdís Huld album.